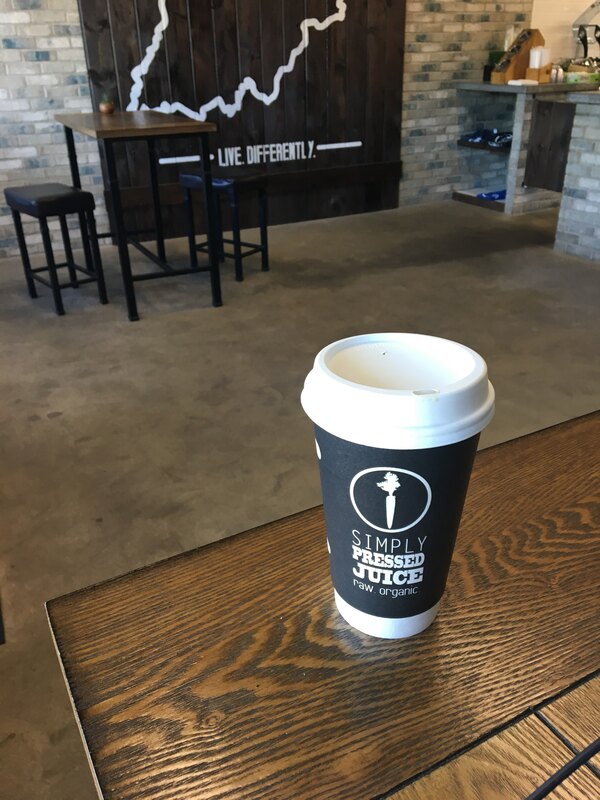 Simply Pressed Juice in Granger, IN knows the value of our 3D digital design preview tool. Ryan started Simply Pressed with his wife, Rachel, and brother-in-law, Reid, in 2016. When they expanded their product line to include keto coffee, they reached out to CupPrint to design custom branded double wall cups. CupPrint worked with Ryan and Rachel to make their design changes, sent them a second 3D preview, and helped them complete their order in a matter of days. CupPrint’s quick turnaround time allowed Ryan and Rachel to receive their cups within 2 weeks – plus, as a small business, Simply Pressed benefits from CupPrint’s small unit order minimum of 1,000 cups! CupPrint’s perfectly printed cups serve as a functional way to hold beverages for Simply Pressed. The cups also serve as an avenue for marketing. Ryan and Rachel started Simply Pressed after noticing a need in the local market for a quick service healthy eating option. In particular, they recognized that there was a need for a raw juice bar. The CupPrint team is proud to work with a company that provides so many health benefits to consumers!